At Excel High School, we believe in the freedom and value of a homeschool education. Excel High School partners with parents to ensure that your child receives a well-rounded, accredited high school education. Sometimes parents come to the end of their abilities with homeschooling their children, and that’s where Excel High School can be a big help. 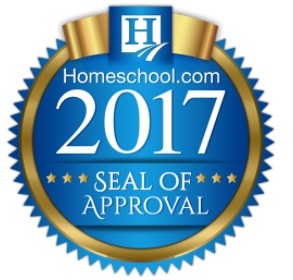 Excel High School has been awarded 2017, 2018 and 209 Homeschool.com Seal of Approval. We offer the courses and instructor support to help your child succeed. Another great aspect of choosing Excel High School for homeschool is that Excel issues an AdvancED SACS, NCA, NWAC accredited high school diploma. This ensures that your child’s high school diploma is accepted by colleges, employers’ and the US Military without issue. Excel High School welcomes transfer credits from qualified homeschool organizations and curriculum providers. Homeschool credits are transferred on a case-by-case basis. The cost to transfer homeschool credits to EHS is $ 25.00 per credit. The $ 25.00 credit evaluation fee is due at the time of enrollment. Excel High School will transfer a maximum of fourteen (14) homeschool core credits under certain conditions. Documentation of the credits and completion of the online HSA (Homeschool Assessment) exam is required for a homeschool credit analysis to be complete. Acceptable forms of documentation include an official transcript, scope, and sequence and/or a portfolio. Excel High School will accept homeschool credits earned through a qualified curriculum provider or homeschool organization. Excel High School awards credit in one-credit (180 hours) or half-credit (90 hours) increments. 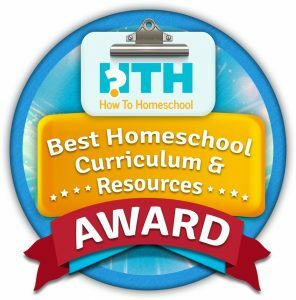 Excel High School is the 2018 winner of the HowToHomeschool[net] Best Homeschool Curriculum Award. HowToHomeschool is one of the nation's largest and most well-respected Homeschool organizations. 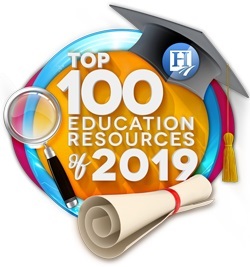 Excel High School is the winner of the Top 100 Education Resources of Award for 2019. www.Homeschool is one of the nation's largest and most well-respected Homeschool organizations. Homeschool credits awarded as transfer credit must be earned after completion of 8th grade. Up to 1 credit of math at Algebra 1 (high school equivalent) or higher, taken prior to completion of 8th grade, may be awarded upon receipt of an official transcript/school record from a regionally accredited or qualified homeschool. Only one (1) credit will be awarded for Health/PE. A maximum of one (1) credits will be awarded for Fine Arts or Humanities. No credit will be awarded for Driver Education courses. Excel High School will issue credit for courses taken at a qualified homeschool once the official transcript and/or a portfolio have received, audited, and the online HSA exam(s) are complete. *All online HSA exams are remote proctored. The fee for the HSA is $ 25 per assessment. A partial list of qualified homeschool curriculum providers can be found by clicking here. Please call the Excel High School counseling office with any questions you may have, or for more details at 800-620-3844.